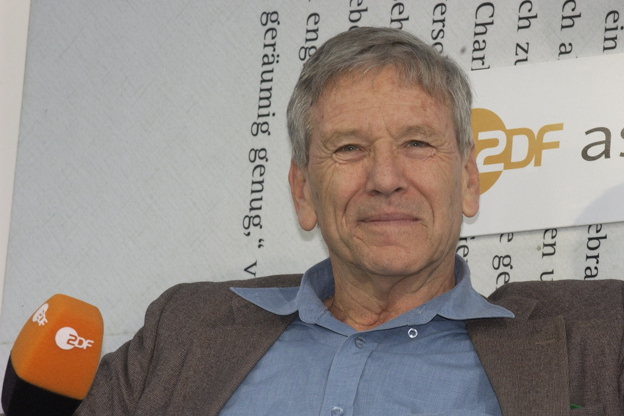 Four years ago, Amos Oz struck up an unlikely friendship with the Chabad and FJC’s representative to Rivne (Rovno), Ukraine. Oz’s mother, Fania Mussman, was from what had once been a Polish city. The home that she had grown up in, described in Oz’s best selling autobiographical novel, A Tale of Love and Darkness, had since become a tourist destination for Israeli fans and readers. Now the Rivne municipality wanted to commemorate the Mussman family home. Local authorities asked Rivne’s rabbi to collaborate with Oz’s children on a text for the plaque of the landmark home. The author’s daughter, Fania Oz-Salzberger arrived from Israel to participate in the ceremony. Her father followed the unveiling from Israel. Soon Oz would invite the Chabad representative, himself an Israeli, to visit him in his Tel Aviv home. Despite their starkly antithetical orientations, a serious friendship developed through visits and weekly conversations in their native Hebrew.